you've come to the right place. 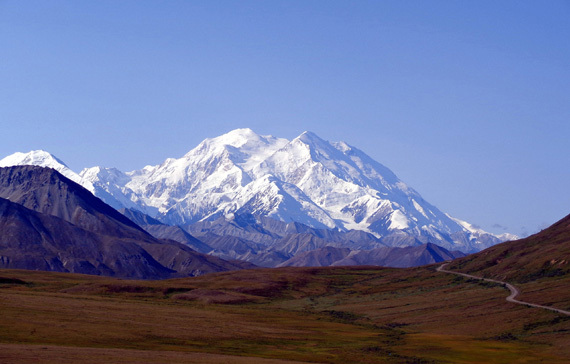 Alaska Starts Here®!" 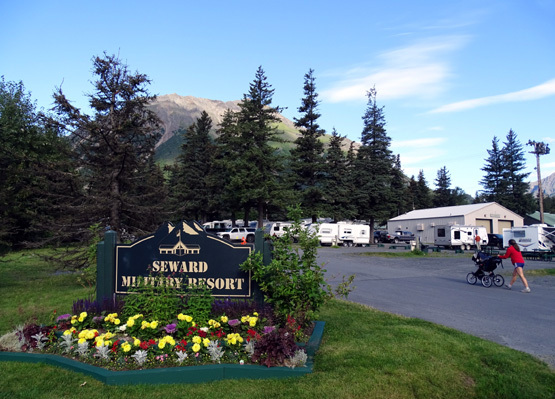 Indeed, Seward is a terrific place to spend a few days, especially when it's sunny. 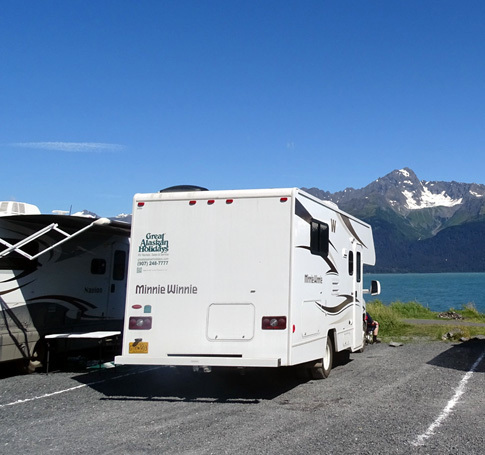 On our first visit to Seward back in 2012 we arrived on July 5, after many of the holiday revelers left town. The weather was less than optimal -- chilly and rainy some days, but with enough sun and warmth on other days that we generally enjoyed the area and wanted to return some day. 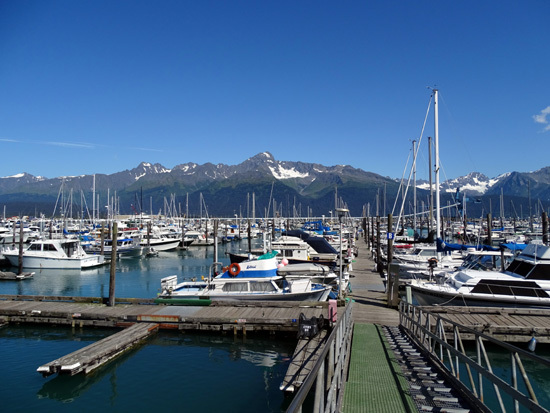 Seward Harbor, July 5, 2012; compare with sunny photos from this year in this and the next entry. That year I was disappointed because some of the trails I wanted to hike were closed. They were still under snow or too wet because of the record-breaking snowfall the previous winter/spring. 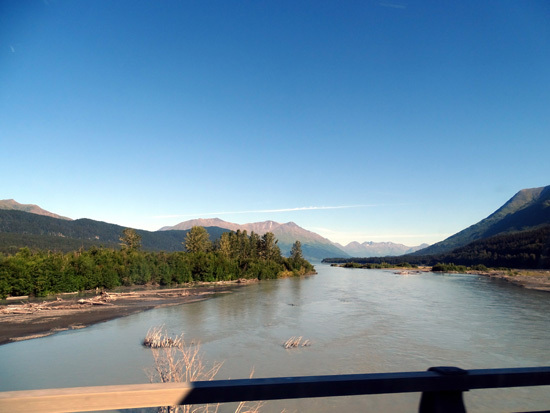 Nevertheless, rain or shine, we rode our bikes around town, hiked up to the Harding Icefield, took a great Kenai Fjords boat tour, visited the Sea Life Center, did other sight-seeing, and chalked up mostly favorable impressions of the place. 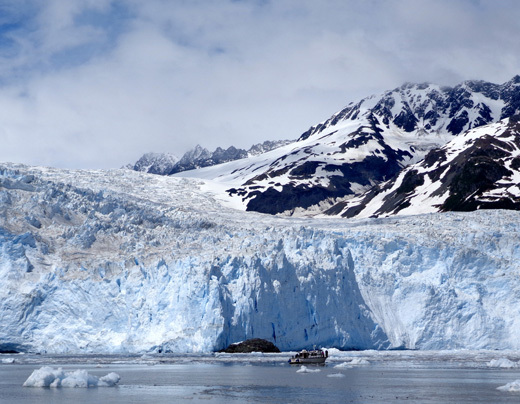 in Kenai Fjords National Park. That's one of our best memories from July, 2012. 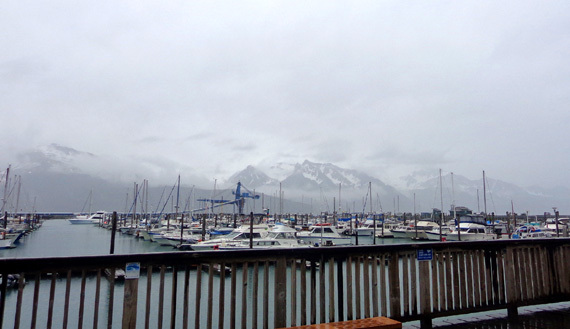 This time we decided to visit Seward a month later, hoping the weather and trails would be better. We had no clue when we made those plans last December and January that Winter 2014-5 would be one of the lightest snowfalls in Southcentral Alaska. This time, early July would have been just fine. No problem, though -- the weather during the first four days of our visit was perfect and more trails were open. Now isn't the next scene much more inviting than the 2012 photo of the harbor above?? This week we had three-plus days of sunshine and one day that was partly overcast. When we saw that a week of rain was predicted starting on Saturday, we left a day early to avoid most of it! 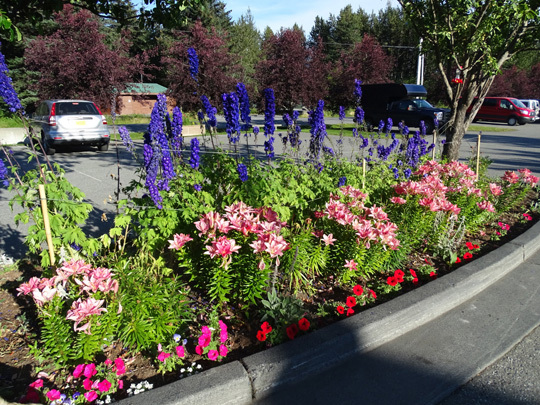 Seward is fantastic when it's sunny. 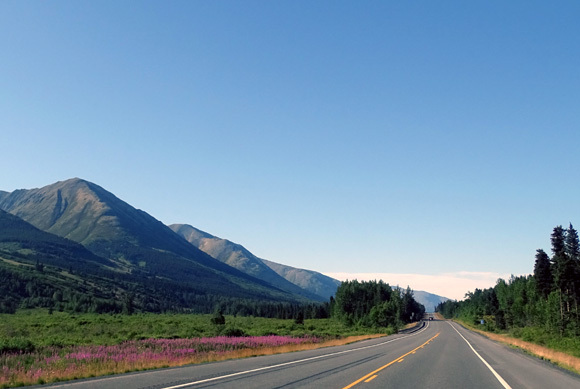 Ditto for everywhere else we've been in Alaska. Not so much when it's chilly and wet . 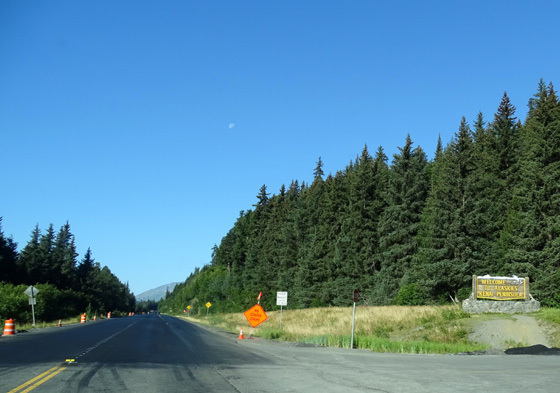 . .
Traffic was moderate, getting backed up periodically for construction stops before the Sterling Hwy. intersection at Tern Lake Junction. 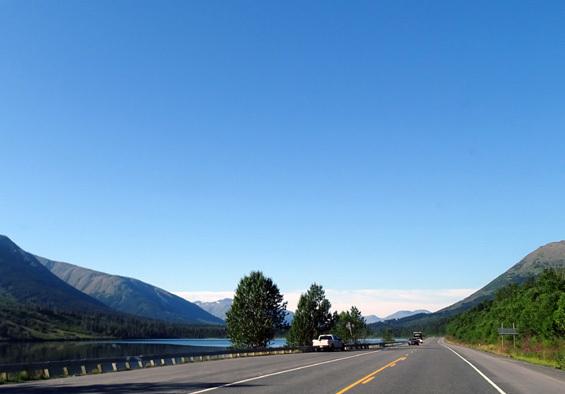 Fortunately for us, most of the traffic went west toward Cooper Landing, Kenai, Homer, and other towns on the western side of the peninsula. 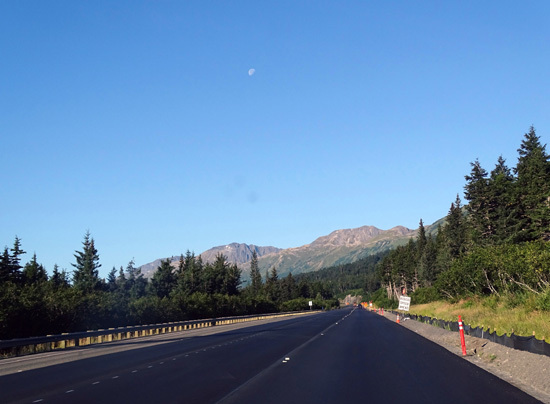 Road work slowed the drive to Seward but we had mostly brand new pavement in the construction zones and one relatively smooth gravel break. 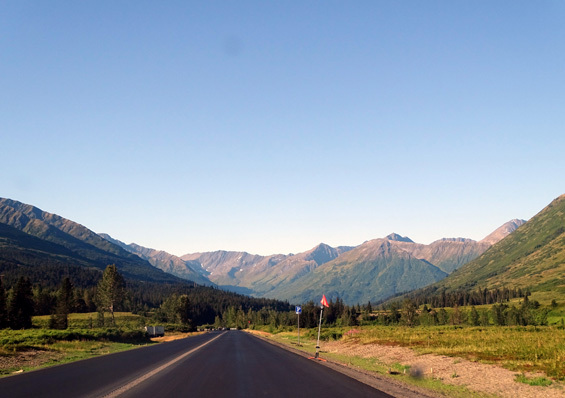 The large sign on the right says "Welcome to Alaska's Kenai Peninsula." We appreciated the new, smooth pavement. 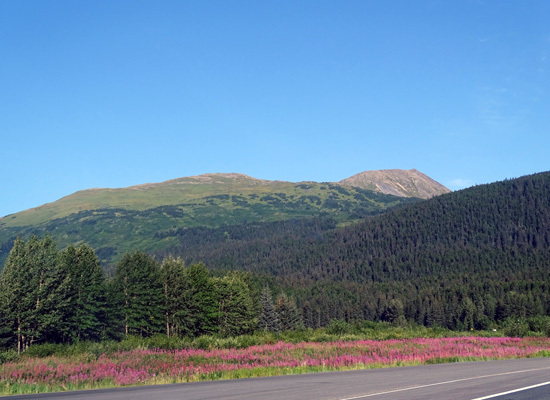 The weather was great -- sunshine and very few clouds, in stark contrast to the poor weather we had going to Seward three years ago. 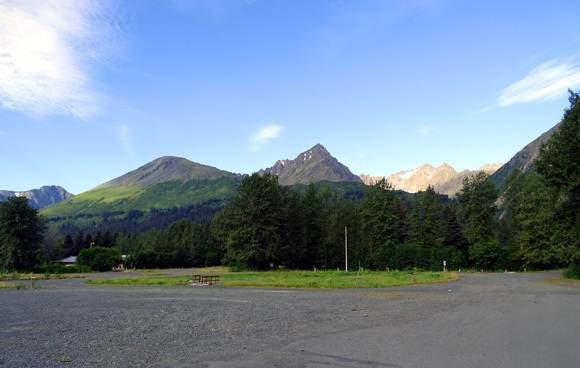 Temps ranged from 46 F. at Williwaw Campground overnight to 71 F. in Seward this afternoon. That's within our "perfect-weather range." 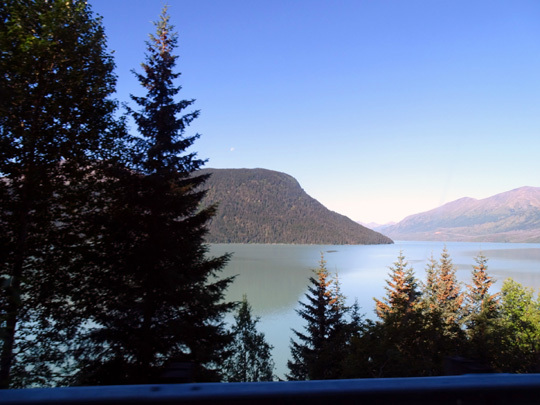 We loved all the scenic mountain, lake, and river views that we missed on this drive three years ago when it was overcast and raining. The landscape looks much different this time, after a mild winter and warmer-than-average spring/summer. Plus, we're here a month later than last time. There is less snow and more flowers. We saw a swan in a little pond near the Grayling Pond trailhead a few miles north of Seward but no large critters like moose or bears. 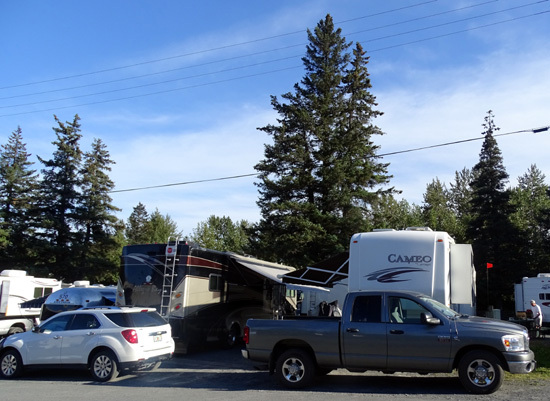 Although we are grateful for all the terrific military campgrounds where we can stay, sometimes their rules drive us nuts. Last time we were here we were allowed to check in a couple hours early because several sites were available. Even though the site we're occupying this week was empty when we arrived about 11 this morning, the staff was adamant that we couldn't check in until noon. Grrr . . .
We waited for two other RVs to use the dump station before we did. That killed about 20 minutes. I walked the dogs while Jim hung out in the office till precisely noon, when he was permitted to check in. The place is booked up tonight and only one space for a trailer our size was available. It's very convenient to the bathrooms but not in the row where we were last time that faces the grassy area where boats and extra vehicles are parked -- and where it's easier to walk the dogs when they need to potty. That would be fine if there was more room on the door sides. The first night a large motorhome on our door side was only about 12 feet away (picture above). There was just enough room for us to both put out our slides and awnings but too close to feel comfortable sitting outside to read or eat. That's much better! Now we have a little more breathing room. 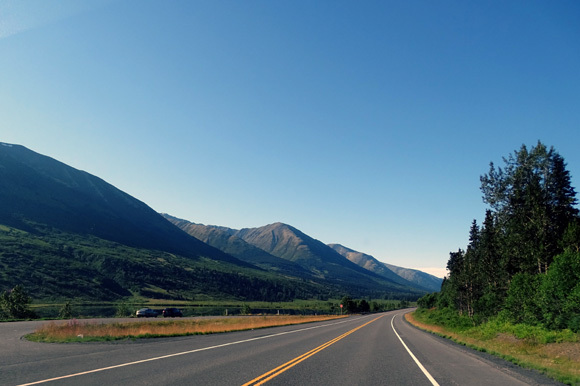 This place is a contrast to our favorite military campgrounds with spacious sites, like the Air Force Academy or Kings Bay Sub Base. 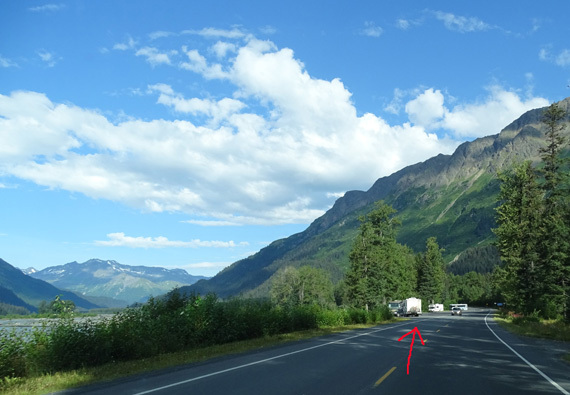 In addition to small sites, "toad" and truck parking is very limited. When the large Class A motorhome was next to us we barely had room to park the truck perpendicular to the front of the Cameo. There was no way to park it parallel or in back because of RVs right behind us. The positives at the resort outweigh the negatives, though, and we are glad to be here. Most of our neighbors have been considerate this week, the location is convenient to downtown and the harbor, the cost is lower than the crowded private and public campgrounds in the area, and the resort complex is very nice with attractive landscaping and amenities like discounted tickets for land, air, and sea tours, museums, etc. Jim and Casey walk in the grass next to one of the yurts. 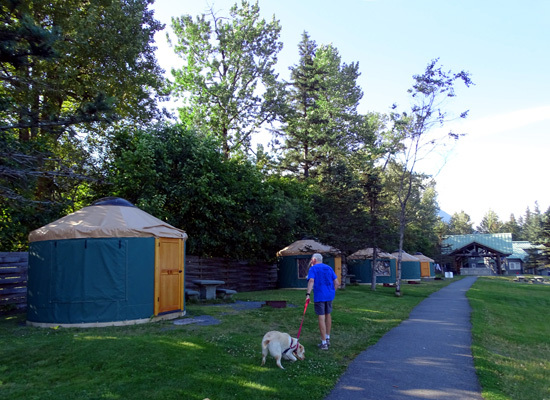 In addition to the RV campsites there are also shaded tent sites and canvas yurts for folks who like more primitive camping. The resort has large expanses of grass, lots of flowers, an office and gift shop, a restaurant/grill for evening meals, playground equipment, picnic tables, and a large fish cleaning building. 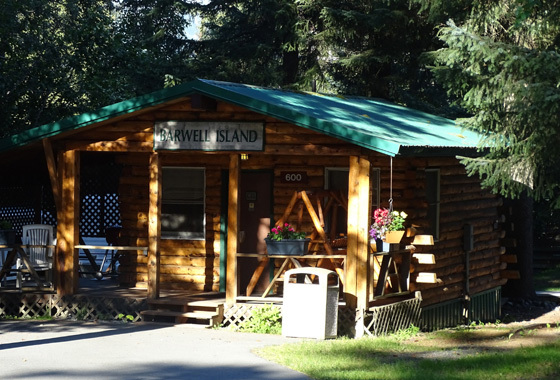 There are two laundry rooms for guests and one of the best bathrooms we've seen at any campground, anywhere. When we have sewer hookups we rarely use campground bathrooms -- we use our own. Since these RV sites don't have sewer connections we use the bathroom to take our showers. Jim joked that these are the best showers we've had since we sold our house! Fees for all accommodations are in three tiers based on rank while in the service. Higher officers, civilian DOD employees, and guests pay the most. Jim is in the middle tier. Our cost is $25/night for water, 50-amp electricity, WiFi (if not too many others are using it), and cable TV. Payment is due when guests leave, which was in our favor since we left a day earlier than planned (we paid for four nights instead of the five we reserved). Paying at the end is how they get the bathroom key cards back -- smart. Three years ago the Air Force ran a small campground across the street from the Army's resort. We stayed there our last night in 2012 when we wanted to extend our stay and couldn't remain at the resort as many extra days as we wanted. We would have preferred to stay there this time because some of the sites were larger and it was less expensive and more informal than the resort. 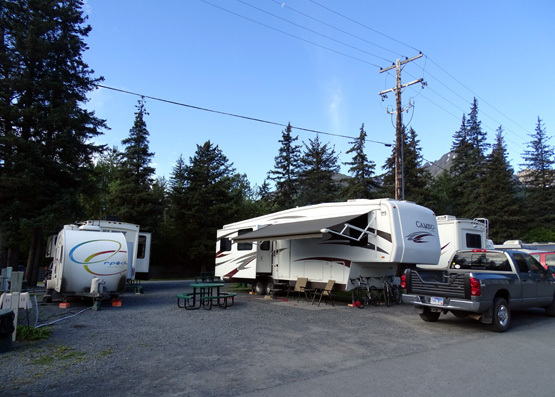 Other campgrounds in and near Seward not only cost more than $25/night for the same level of service, their sites are also quite crowded and/or noisier. 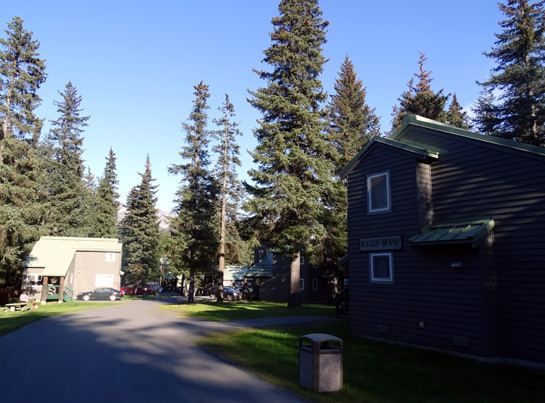 The military resort is a block off the main drag, across from a treed area, and not right in town so it's very quiet. 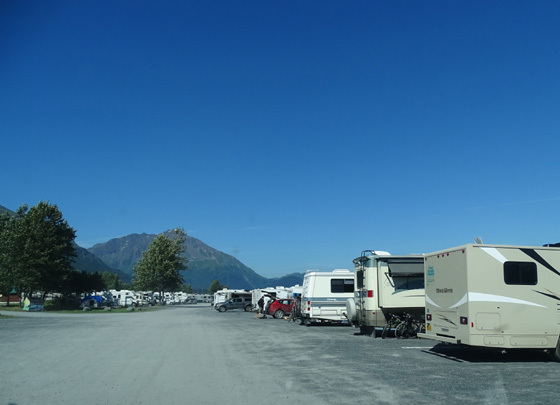 There are also a couple private campgrounds a little bit north of town that are quieter settings. 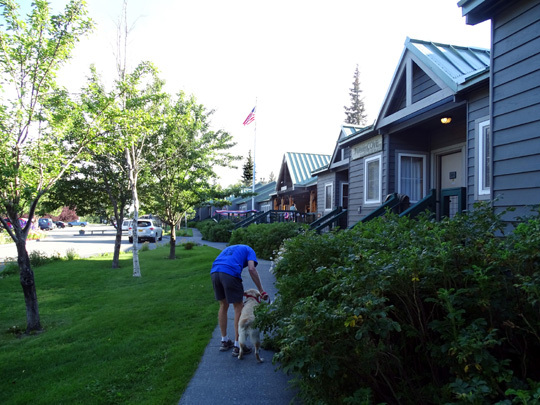 As soon as we ate lunch and got settled in this afternoon we drove downtown to re-familiarize ourselves with what's there (we get Valdez and Seward confused!). 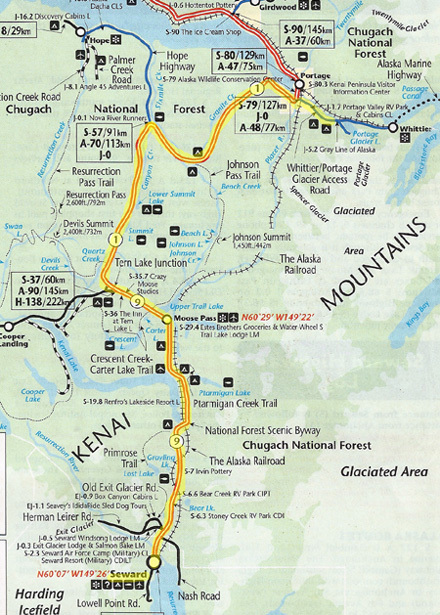 We also drove out Nash Road and the road to Exit Glacier to hunt for trailheads. The hiking should be great this time. 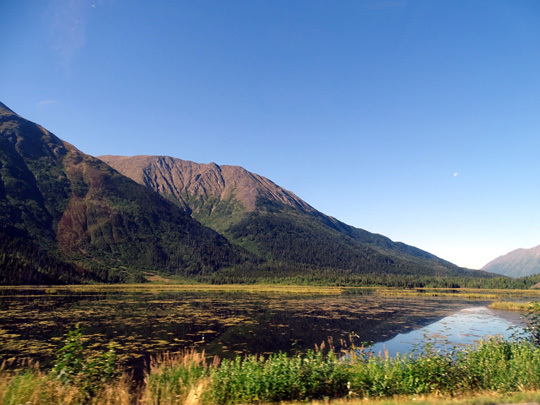 I'll show photos from the harbor area and other scenic places near Seward in the next entry.